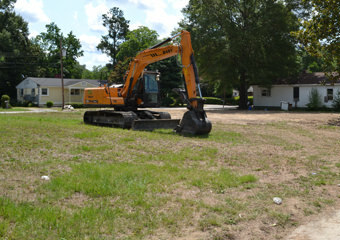 The Residential Demolition Assistance Program is an effort of the City of Hartsville and Community Foundation for a Better Hartsville to help property owners demolish blighted house structures which have decayed past the point of feasible repair, helping to eliminate crime and fire hazards and help preserve the value of nearby properties. For successful applicants who provide $500 to $1,000 towards the demolition of a house, the program can provide the remaining funds needed for the demolition, while keeping the property in the owner’s possession. For more information, contact City Manager Natalie Zeigler at 843.383.3015.